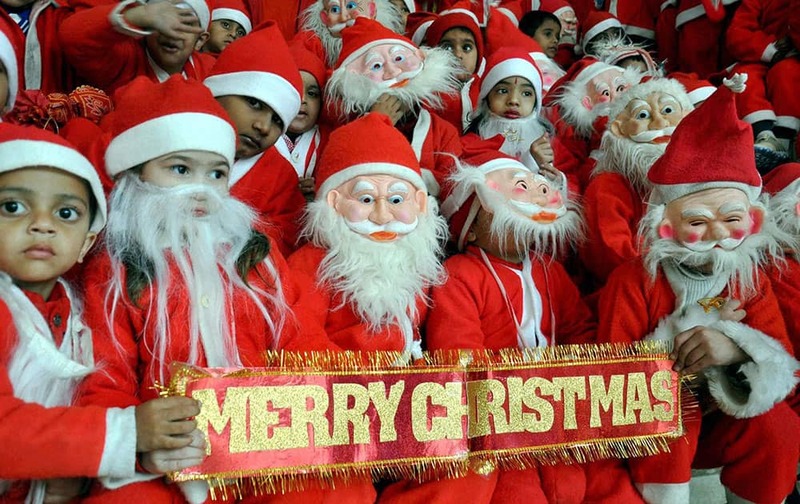 Children celebrate Christmas festival in Bhopal. 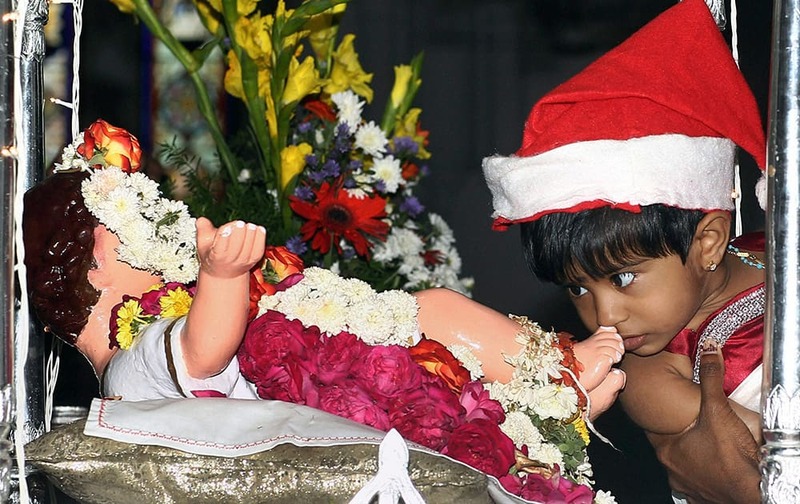 A child kisses the feet of an infant Jesus Christ after attending prayer on the occasion of Christmas in Santhome Church in Chennai. 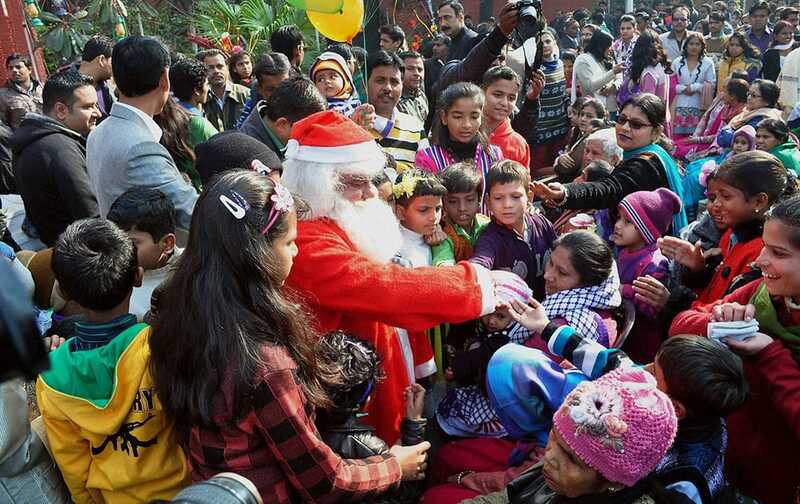 A man dressed as Santa Claus distributing candies among the children in the lawns of Holy Family Catholic church on the occasion of Christmas in Srinagar. 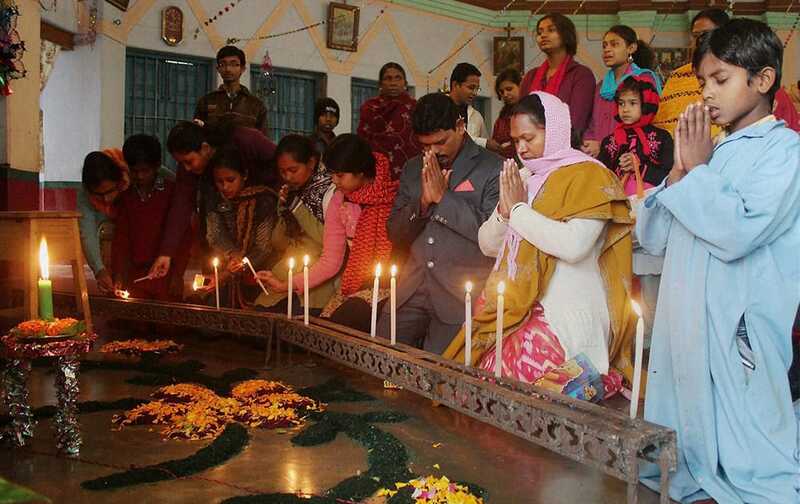 Devotees pray at a church on the occasion of Christmas in South Dinajpur district of West Bengal. 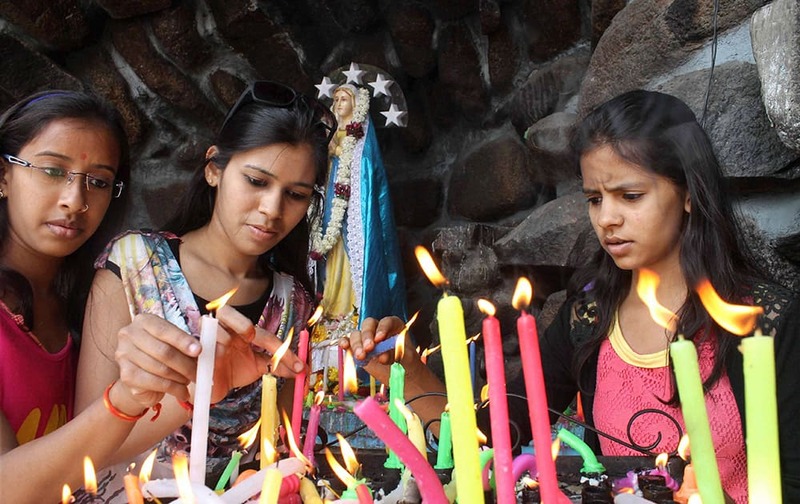 Girls light candles at S.Joseph church on the occasion of Christmas Day in Hyderabad. 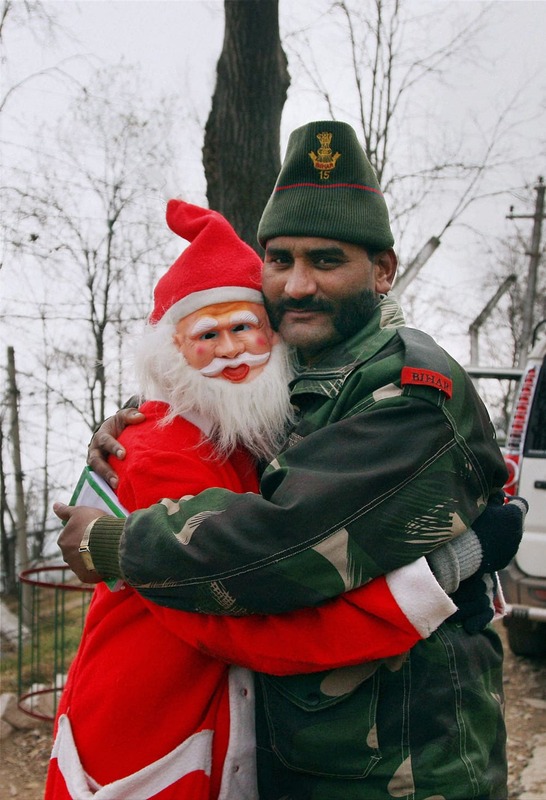 A man dressed as Santa claus greets an army Jawan on the occasion Christma at Bhimber Gali LoC, Poonch district about 250 Km from Jammu. 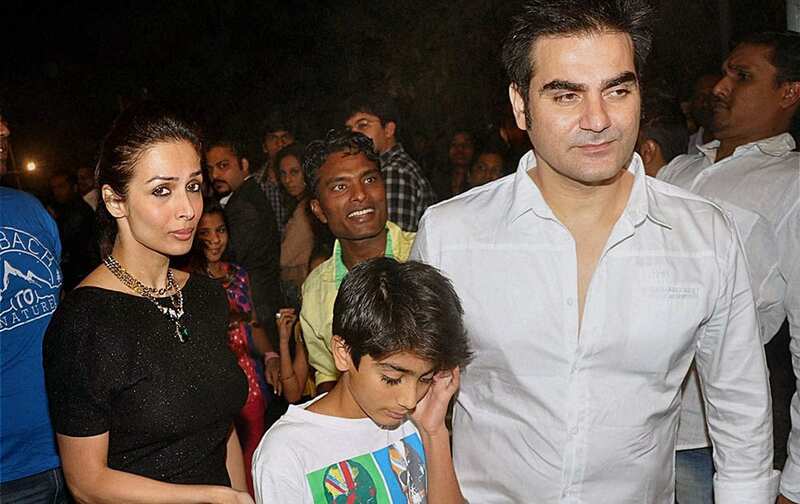 Malaika Arora Khan with her filmmaker husband Arbaaz Khan (R) and son Arhaan Khan attend the Midnight Mass on Christmas Eve at a church in Mumbai. 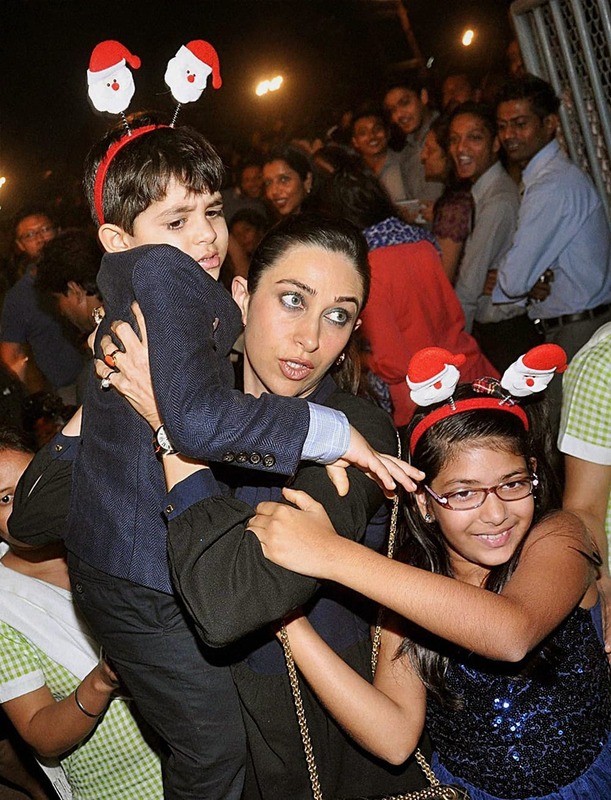 Karisma Kapoor with son Kiaan Raj & daughter Samiera arrive for the Christmas midnight mass at a church in Mumbai. 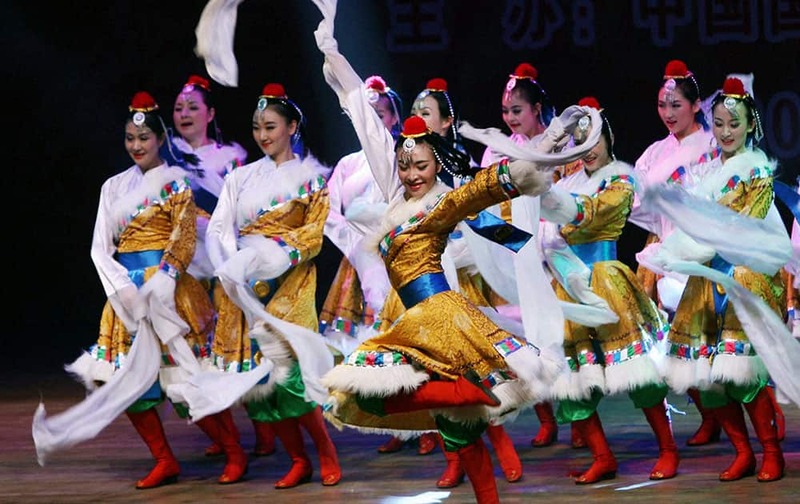 People greet each other on the occasion of Christmas at a church in Hyderabad. 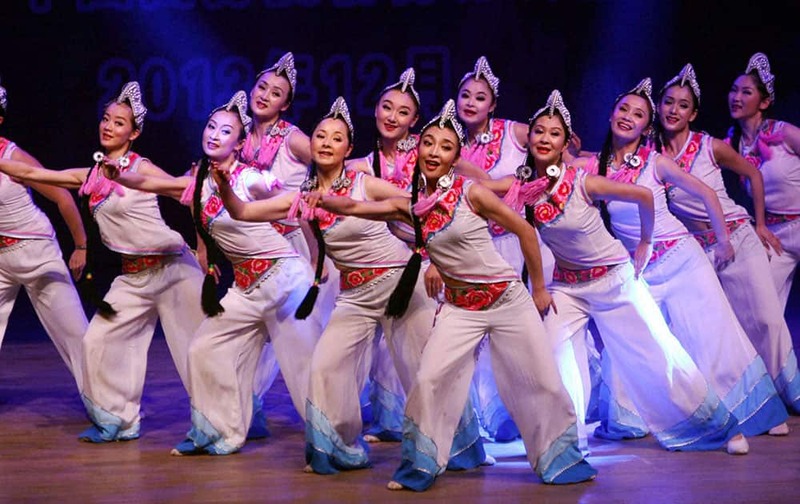 Young girls pose a group photo outside the Sacred Heart Cathedral on the occasion of Christmas festival in New Delhi. 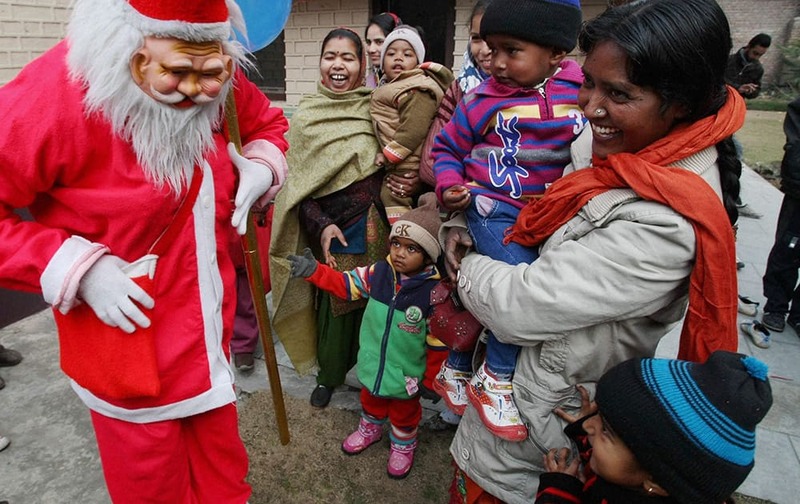 A man dressed up as Santa Claus distributing sweets among children on the occasion of Christmas in Moradabad. 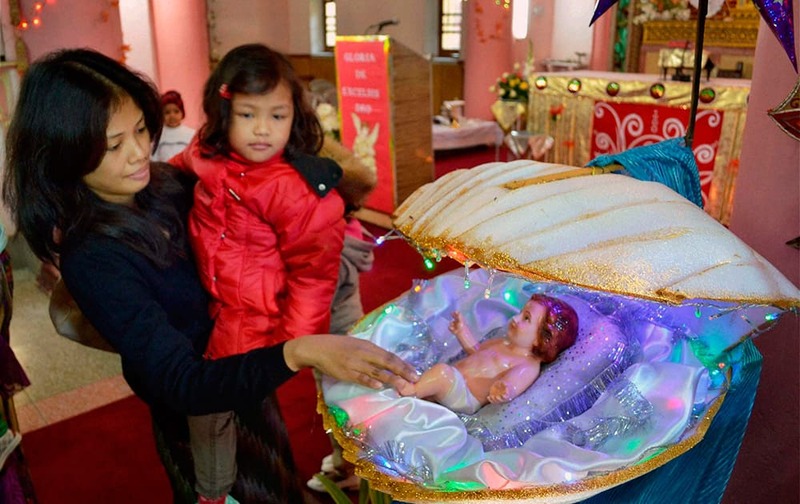 A woman kissing a statue of infant Jesus Christ on the occasion of Christmas at a church in Guwahati. A woman touches the feet of infant Jesus Chirst after attending morning prayer on the occasion of Chirstmas in Mathura. 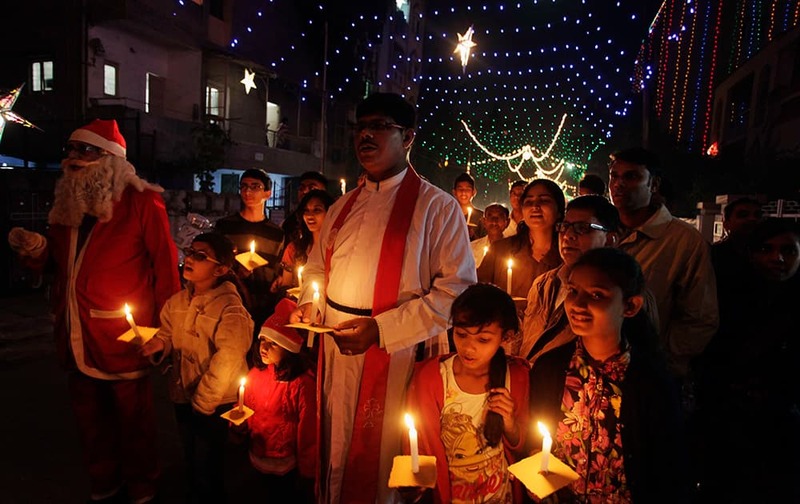 Christians hold candles ahead of Christmas in Ahmadabad. 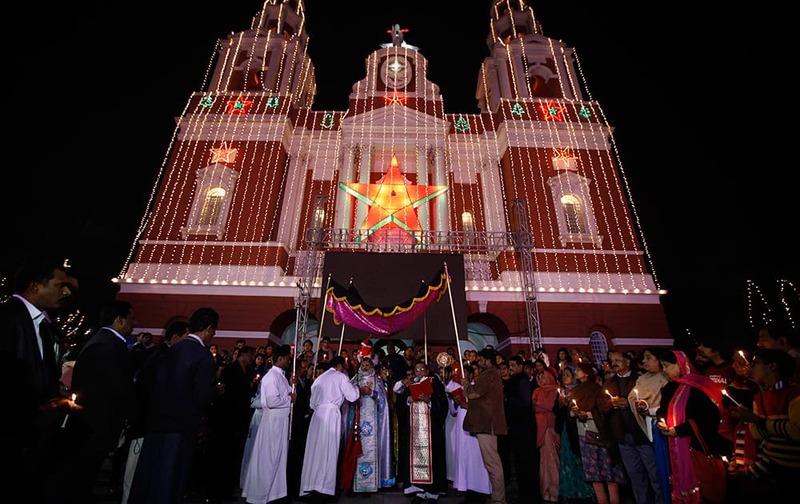 Christian religious heads perform Syro-Malankara Rite, a ritual, at the illuminated Sacred Heart's Cathedral on Christmas Eve in New Delhi. 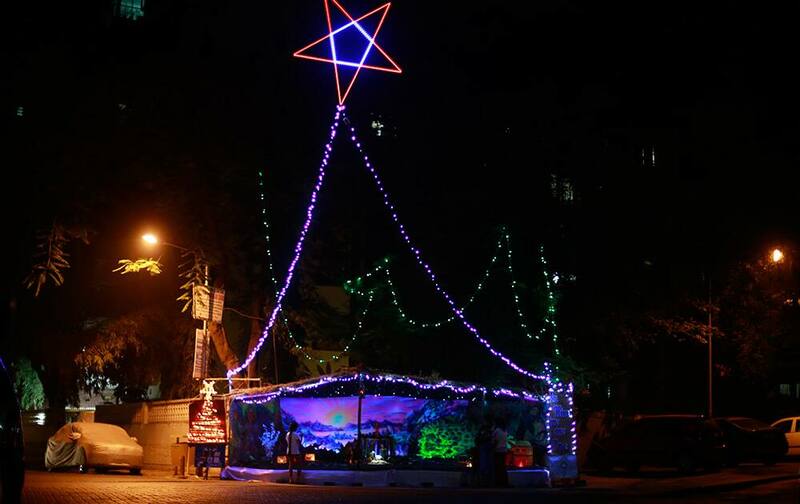 A crib is lit up with lights on Christmas eve in Mumbai. 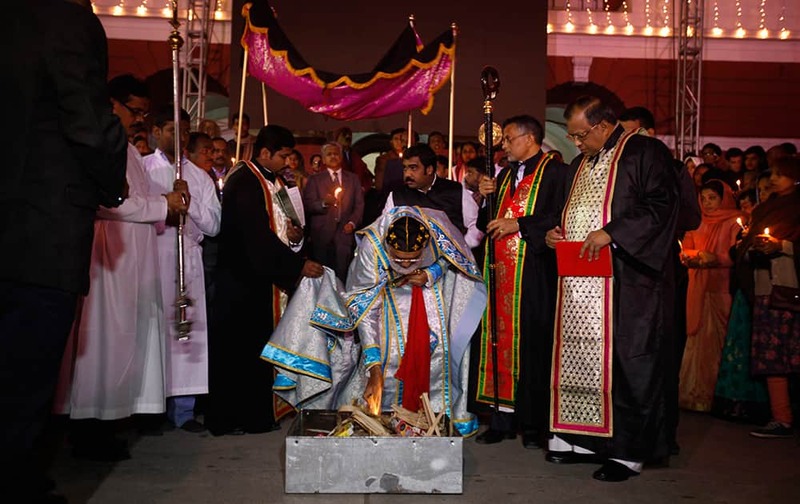 Bishop Jacob Mor Barnabas, centre, performs Syro-Malankara Rite, a ritual, at the Sacred Heart's Cathedral on Christmas Eve in New Delhi. 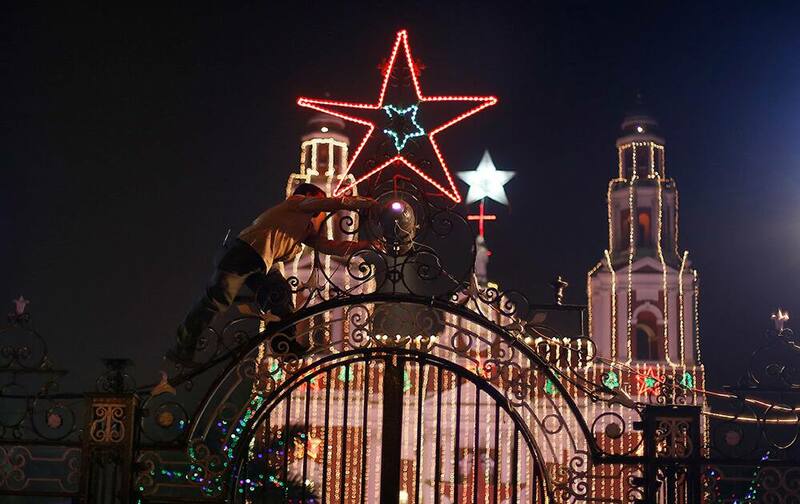 A worker installs decorative lights on the gate of the Sacred Heart’s Cathedral on the eve of Christmas in New Delhi. 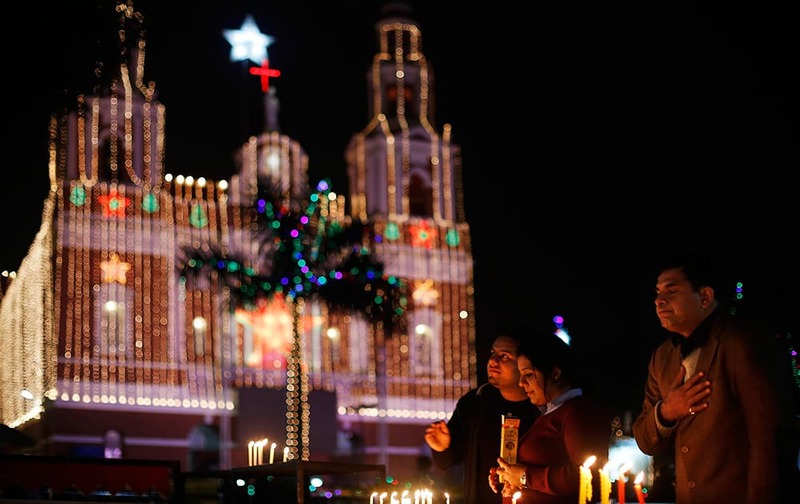 Christian people light candles and pray at the illuminated Sacred Heart’s Cathedral on Christmas Eve in New Delhi. 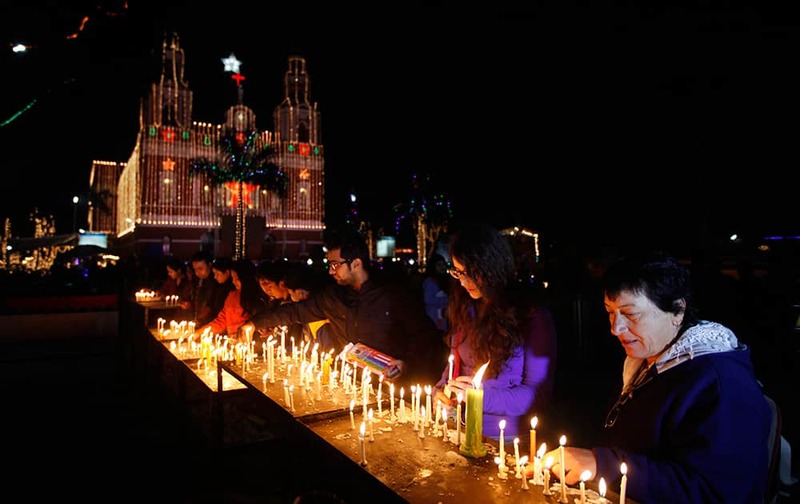 Christian people light candles at the illuminated Sacred Heart Cathedral on Christmas Eve in New Delhi. 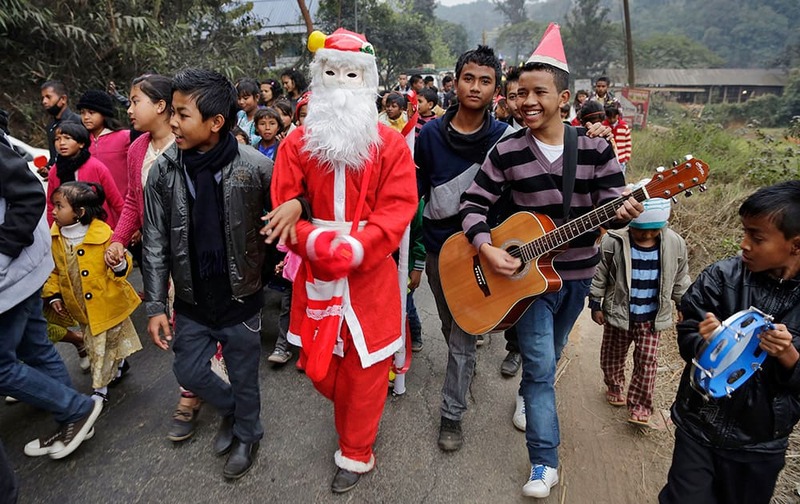 People sing as they walk with a man dressed as Santa Claus ahead of Christmas in Umsning, in Meghalaya. 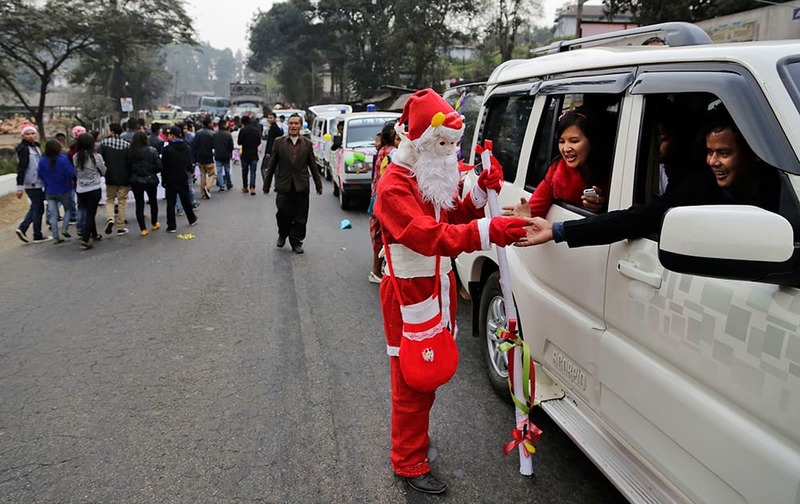 An Indian man dressed as Santa Claus distributes sweets among people in a car ahead of Christmas in Umsning, in Meghalaya. 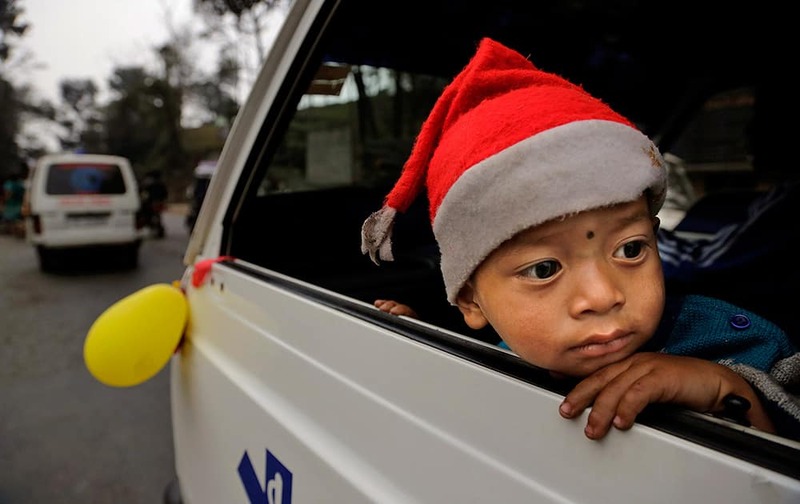 A young Indian girl wearing a Santa Claus cap looks outside from a car window ahead of Christmas in Umsning, in Meghalaya. 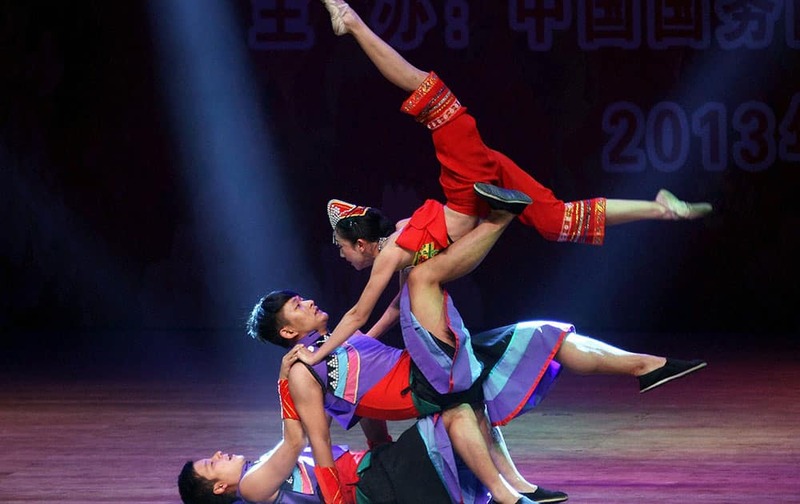 Chinese artists perform during an event in connection with Christmas and New Year celebrations in Kolkata. 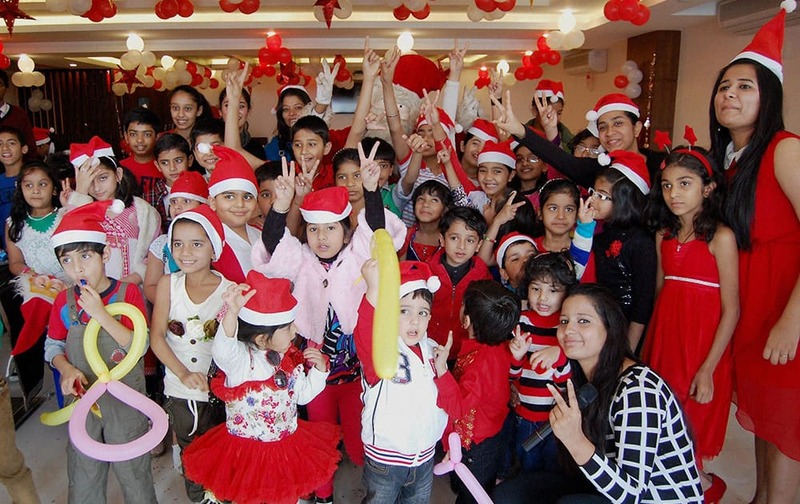 Tennis player Sania Mirza celebrating Christmas with under privileged children in Mumbai. 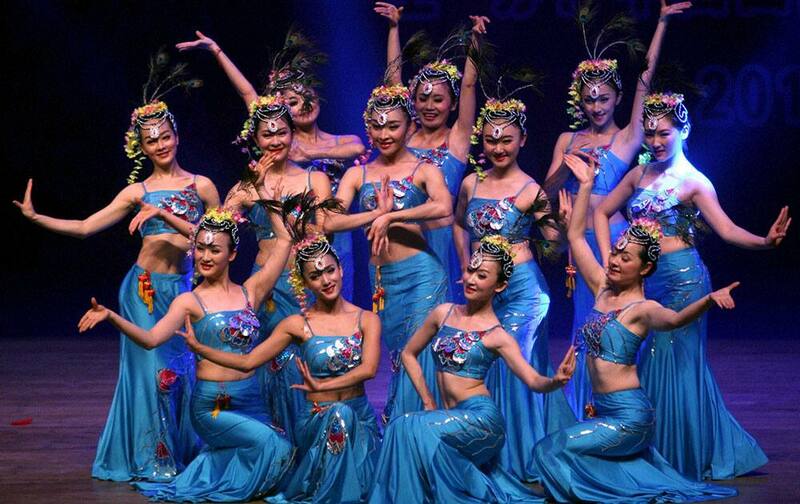 German model Claudia Ciesla poses during a special photo shoot for Christmas in Mumbai. 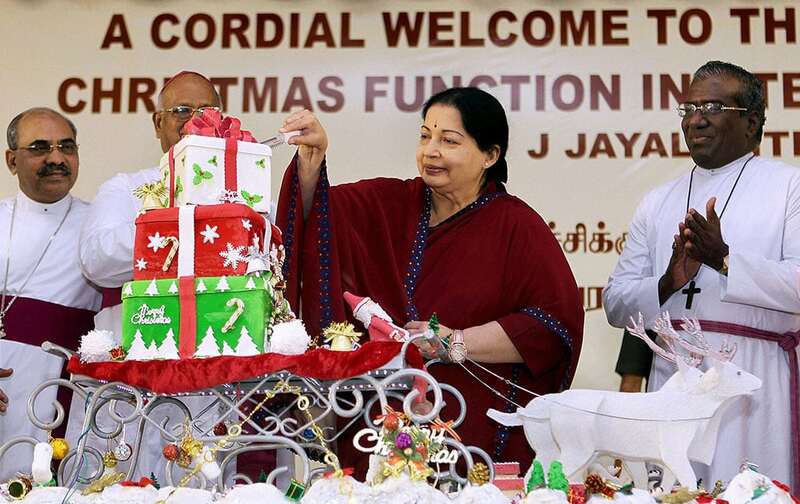 Tamil Nadu Chief Minister J Jayalalithaa cuts a cake at a Christmas function in Chennai. 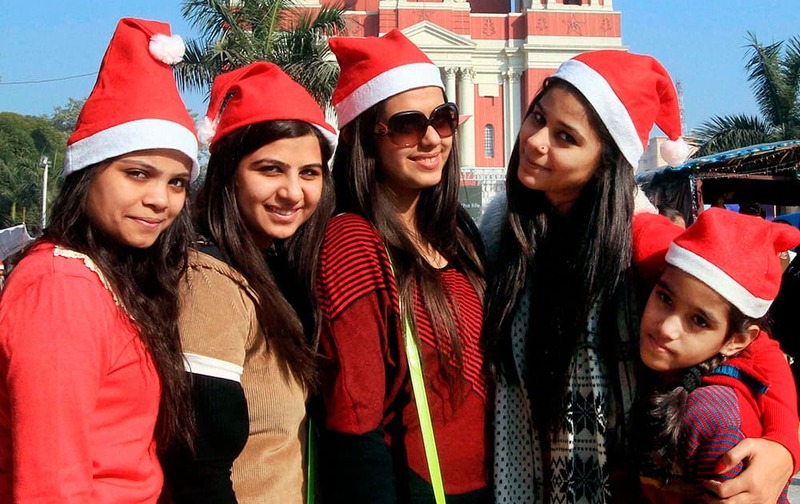 Students of Patna Women’s College celebrating Christmas in their college in Patna. 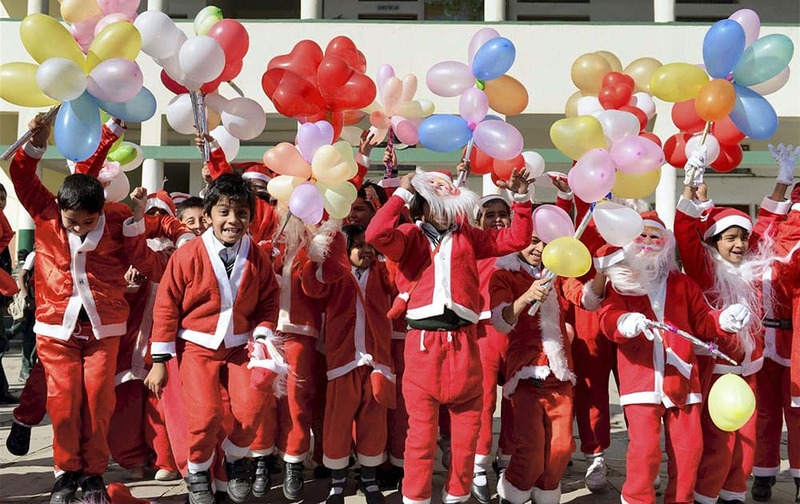 Children of a school dressed up as Santa Claus to celebrate Christmas in Moradabad. 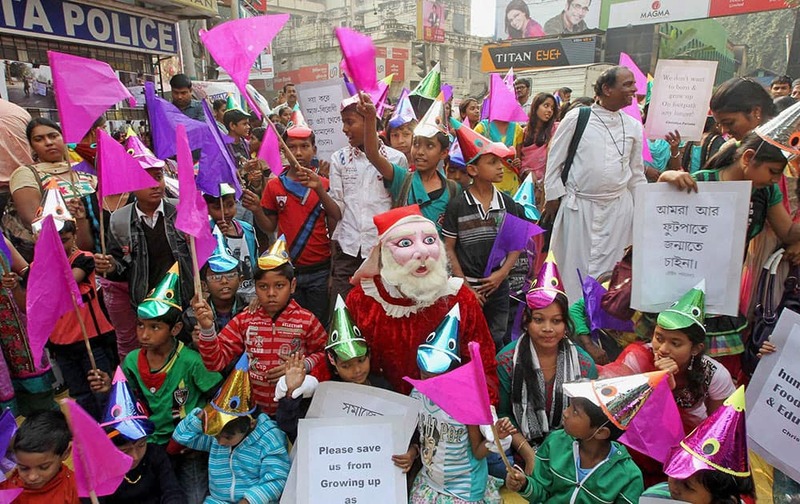 Underprivileged children celebrating Christmas in Kolkata. 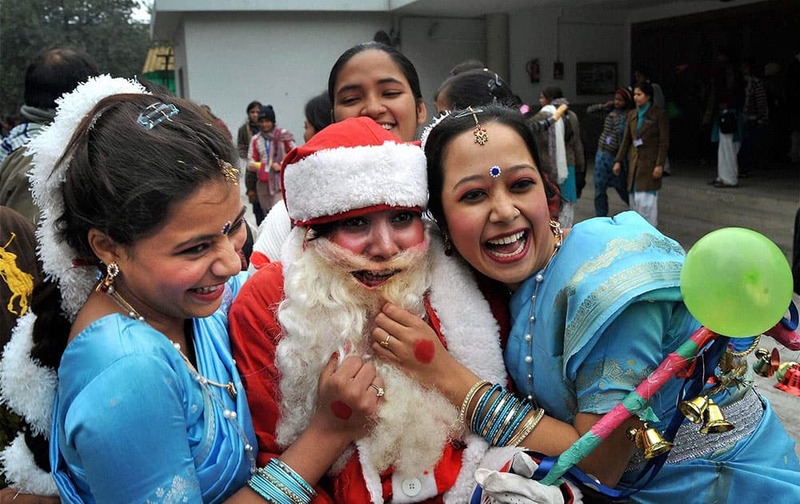 Children dressed as Santa Claus take part in the Christmas celebrations at a missionary school in Bhopal. 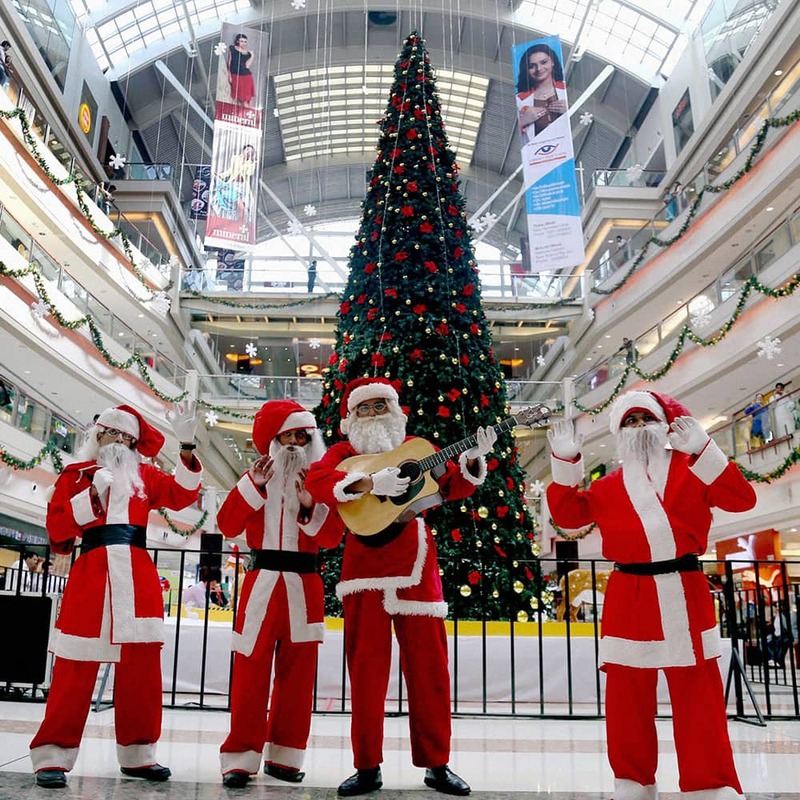 Men dressed as Santa Claus perform at a mall ahead of Christmas celebrations in Thane, Mumbai. 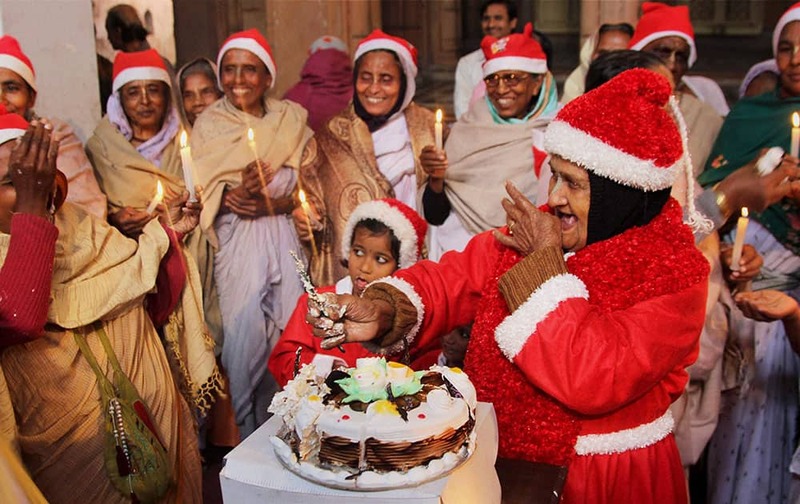 Widows of Vrindavan distributing cake during celebration of Christmas first time in their life, at Vrindavan in UP. 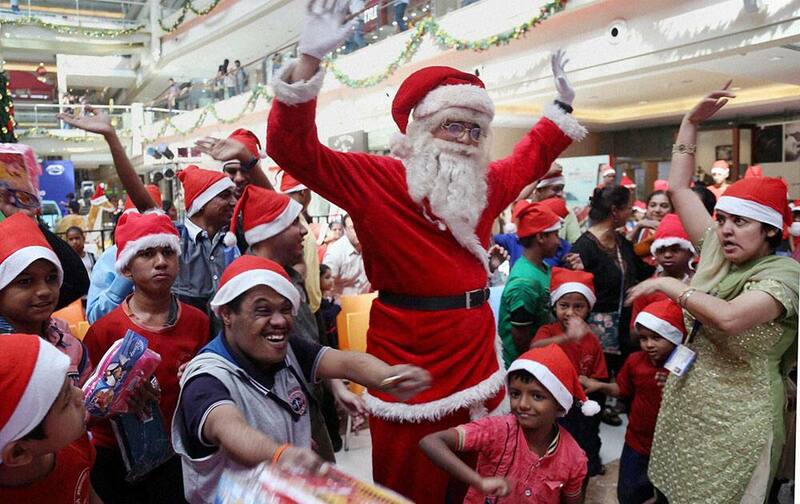 Special children celebrating Christmas with a Santa Claus in Thane, Mumbai. 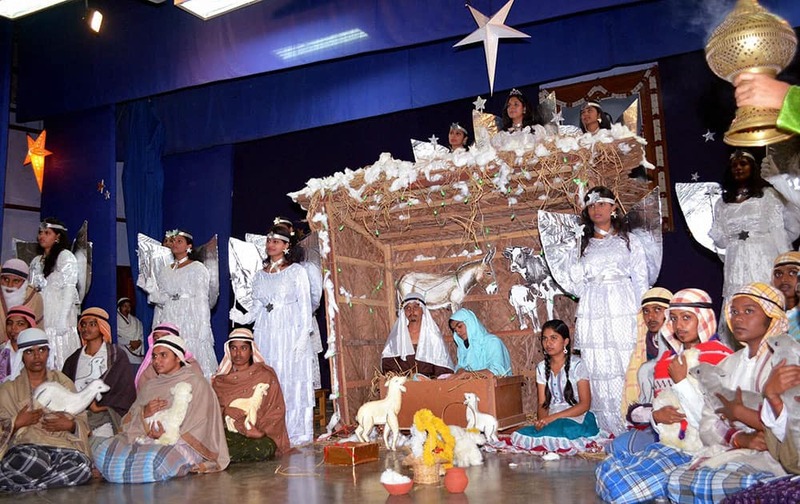 Students re-enact a nativity scene ahead of Christmas in Coimbatore. 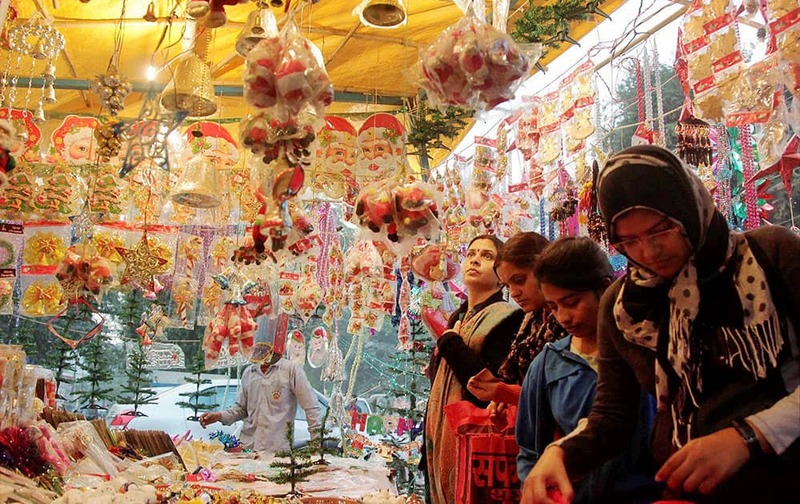 Girls shopping at a stall decorated with Santa Claus masks and ornaments ahead of Christmas festival in Allahabad. 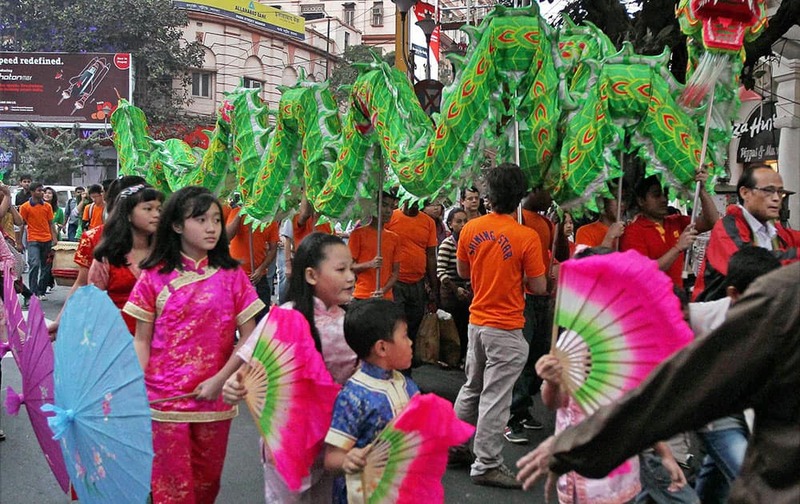 People take part in Christmas celebrations in Kolkata. 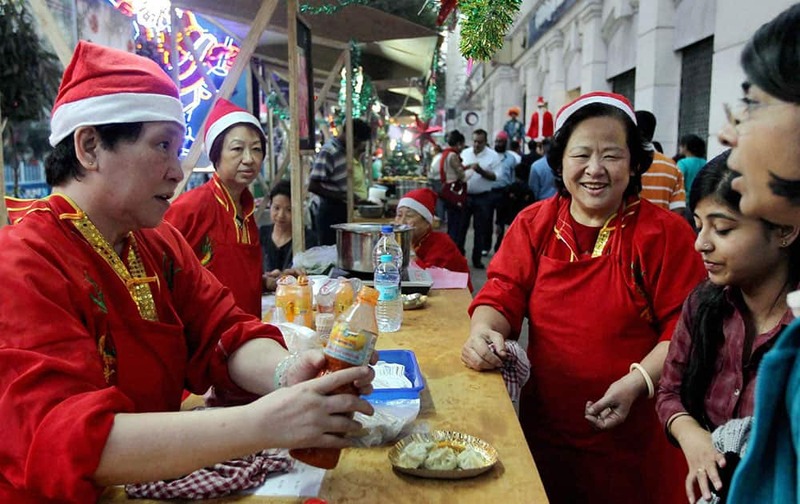 Chinese women wearing Santa hats sell food on a road side stall ahead of Christmas in Kolkata. 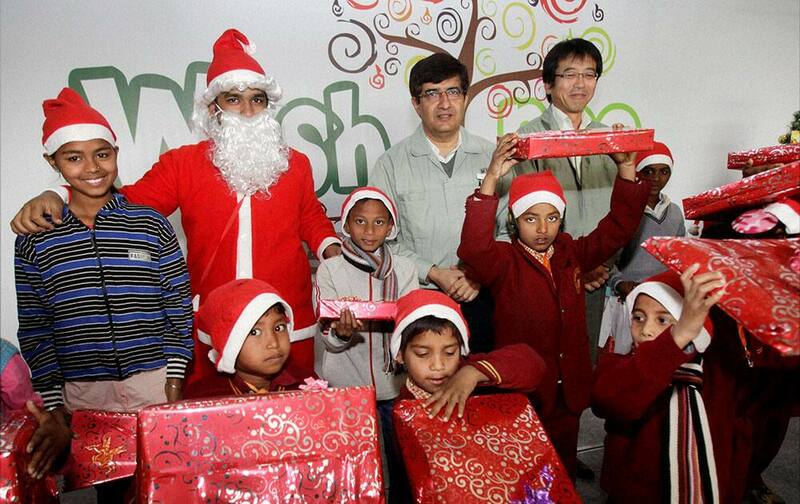 Maruti Suzuki celebrating Christmas festival with underprivileged children in New Delhi. 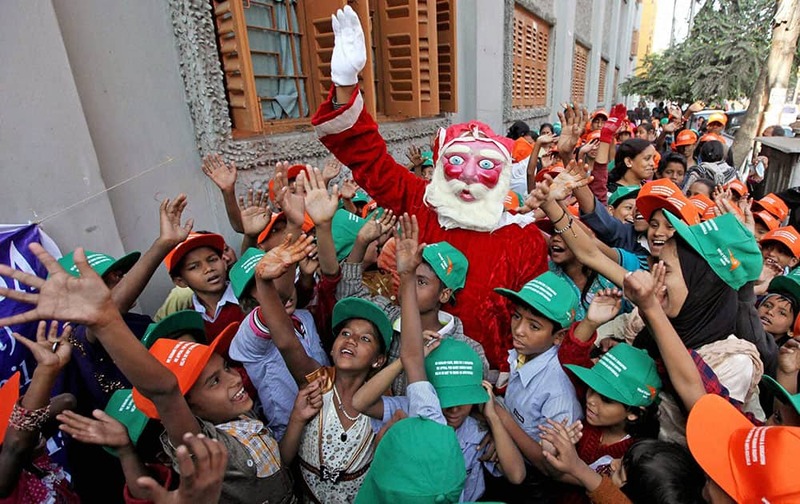 A Santa Claus entertains slum children during a Christmas celebration at Mother House in Kolkata. 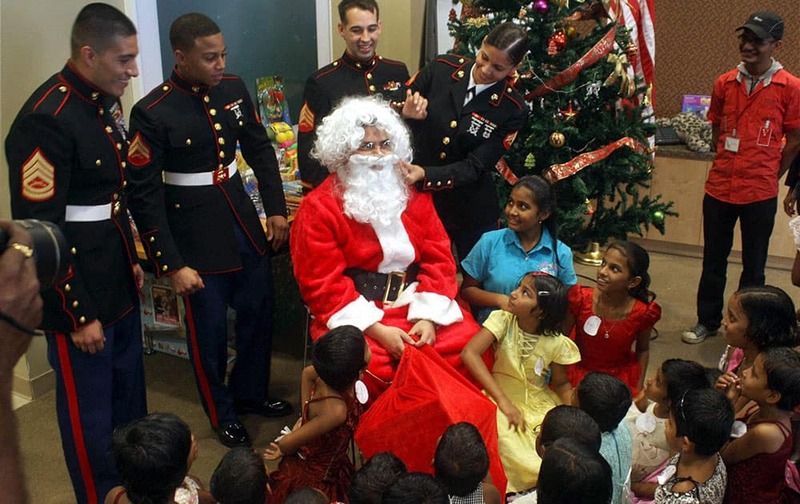 US Defence personnel celebrate Christmas with underprivileged children at US Consulate in Mumbai. 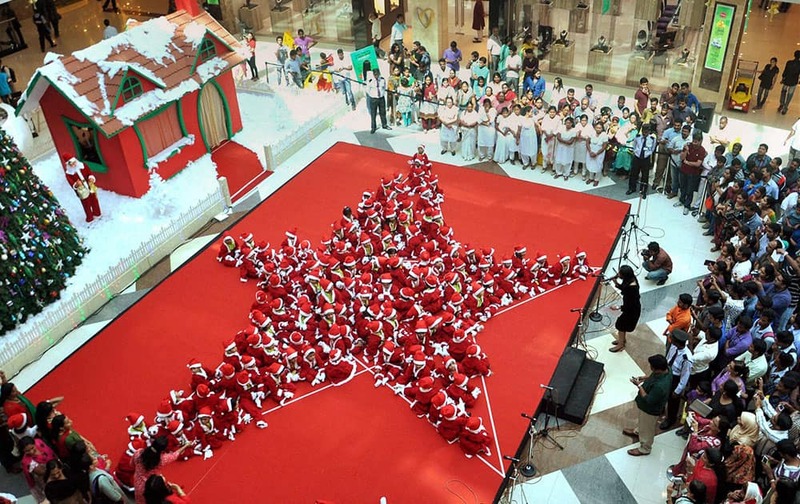 School children dressed as Santa Claus make a star during Christmas celebrations in Kochi.